Safe: Cliech home use heat pump draws mass heat from ambient air, and exchange indirectly for water heating. Electrical part no contact with water, assuring good clean water. No safety issue like electricity heater, gas heater of easy to electric shock, flammable, and poisonous caused, it is safe hot water supply equipment. 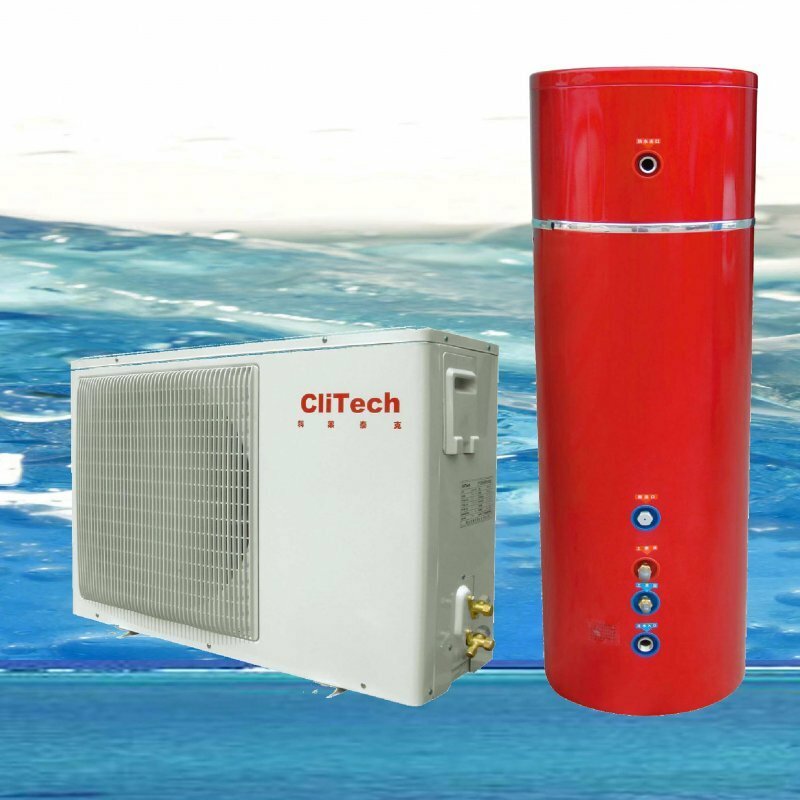 Energy saving: Clitech water heater adopts heat pump to produce heat, from air to get a lot of free energy. So the electricity consumption is only one quarter of traditional electricity water heater, half of gas water heater for supply the same unit of hot water. It can save for users high electricity cost. Environment friendly: No exhaust air pollution, no poisonous gas discharge. Applicable place: Home, villas, hotels of hot water provision or floor heating. Test conditions:Air source side DB/WB is 20°C/15°C,initial hot water temp 15°C, ending hot water temp 55°C. Unbelievable price on Instant split heat pump in Foshan (China) company Foshan CliTech Air-conditioning Equipment Co., Ltd.